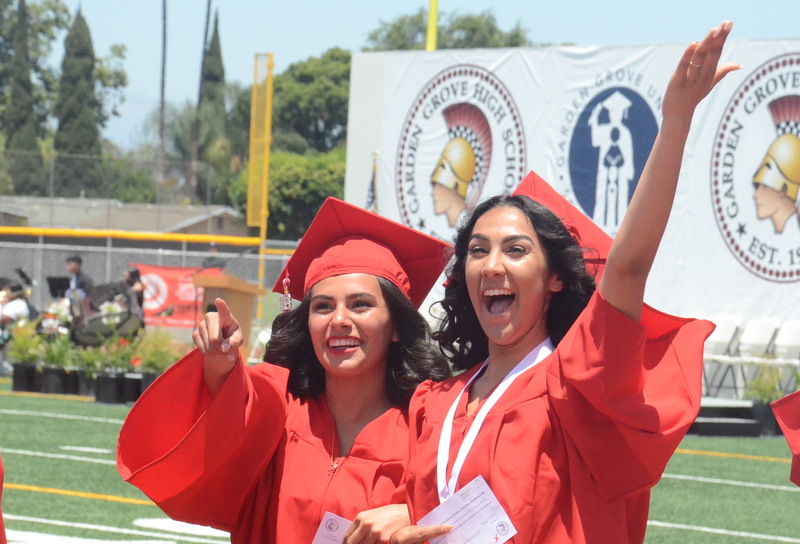 TWO GRADUATES at Garden Grove High’s 96th commencement activities wave to family members during Thursday’s graduation ceremony (Orange County Tribune photos). 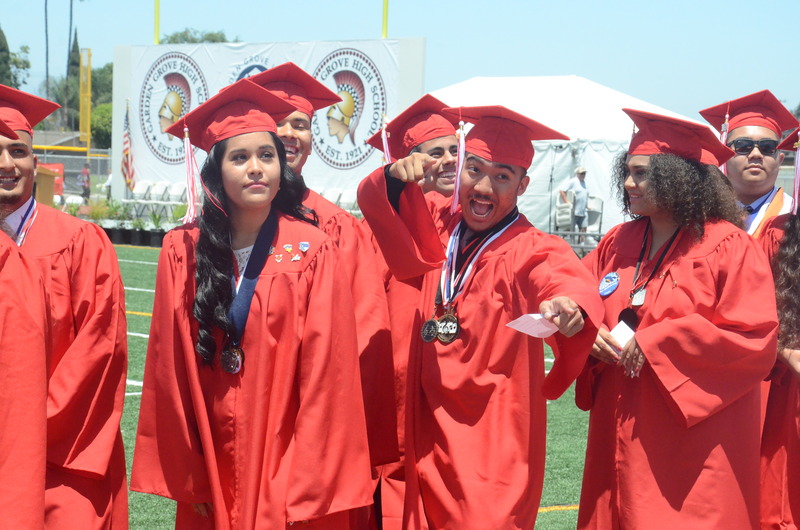 The exuberance of students graduating from Garden Grove High School on Thursday afternoon was on display at Michael Monsoor Memorial Stadium on the GGHS campus. The class of 2018 was the school’s 96th. Santiago High held its commencement after the Argo ceremony and Los Amigos after that. Also on Thursday, Bolsa Grande, Rancho Alamitos and La Quinta high schools had their commencements at the Bolsa stadium. On Friday, Pacifica High will graduate its students at Orange Coast College in Costa Mesa. In the Huntington Beach Union High School District, students at Fountain Valley, Ocean View and Westminster were graduated on Tuesday, with students from Edison and Marina on Wednesday. 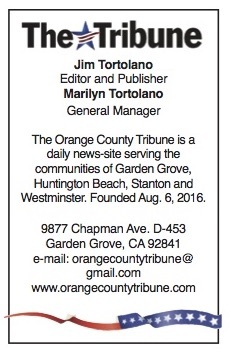 HAPPINESS is a red diploma at Thursday’s commencement at Garden Grove High School.